Jason was extremely professional and made the process very smooth. He made sure I was well informed the whole way through. I plan to work with Jason again in the future and would recommend him to anyone looking to purchase. Great job! Best car buying experience I have ever had. The car I wanted was ready and pulled up for me to look at. Rick was the absolute best! Made sure I was happy with my car and looked it over with me as if it's his own. He didn't even have me sit around for any paperwork. I came back the next day and he had everything laid out for me as well as the car. He even took the time to make sure my old car was cleared out of any belongings and placed them in my new car. Everything was very smooth! The dealership itself know how to take care of their customers! Thank you so much Rick! Great experience working with Peter and Jason. Good selection and they know their product. 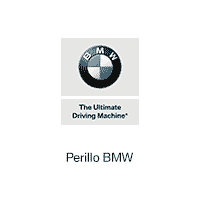 Since 2013 my husband and I have purchased a total of 6 BMWs from Perillo. We always work with Sean Dwyer who is sure to get us just the right car. Sean is very personable with a great sense of humor. So far, I've never felt like Sean was "selling us a car". We tell him what we're looking for, he provides his top picks, then we select the car we want. He's not pushy and does not try to force you into something you don't like. This is extremely important when making a huge purchase. No one wants to feel as though they are being forced into something they're not sure of. Additionally, after each purchase, Sean has sent us a follow-up text message to find out how we're loving the car and to see if we have any questions or concerns. He's thorough. As long as we continue to drive BMWs, we'll always return to Perillo and Sean. Every time I come to Perillo BMW I receive nothing but exceptional service from Alex Padalko. Each time I'm due for maintenance or tire replacement Alex always makes it a seamless experience from setting the appointment to answering my questions and recommendations. I have known him for years since my first BMW and recommend anyone to ask for him. He is very personable and I always look forward to coming back. Thank you Alex! I came to buy my wife the 2019 X3 M40i. I was greeted by a salesman Marco we hit it off right away with a lot in common. I can absolutely 100% say if it wasn't for Marco I would have purchased an SUV I found elsewhere, I went back because I wanted Marco to get the sale. Marco is a very smart young man with a good formal education in Finance. He really went to bat for me and got a price I was extremely happy with. At the end of the day I hope Perillo made a few bucks, Marco got his commission and my wife got an awesome SUV. Thanks again I will be back. Go see Marco! You're welcome! Hitch-hiked from Minnesota to see a CPO 528i and was not disappointed. Marco Daddasio went out of his way to secure a good deal for me. He is very responsive and is helping me out with out-of-state registration as well. I highly recommend you see him if looking for a new Beemer in the midwest!